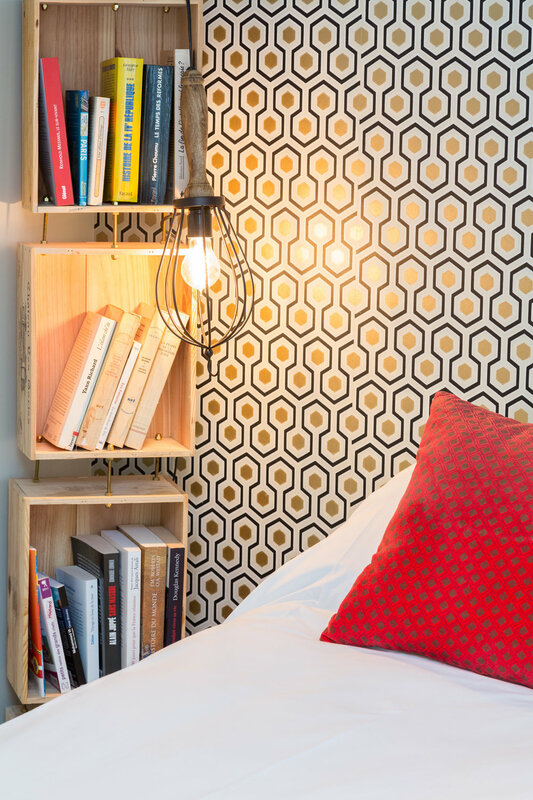 Welcome to AdM, our charming Parisian guest house right at the heart of Montmartre! 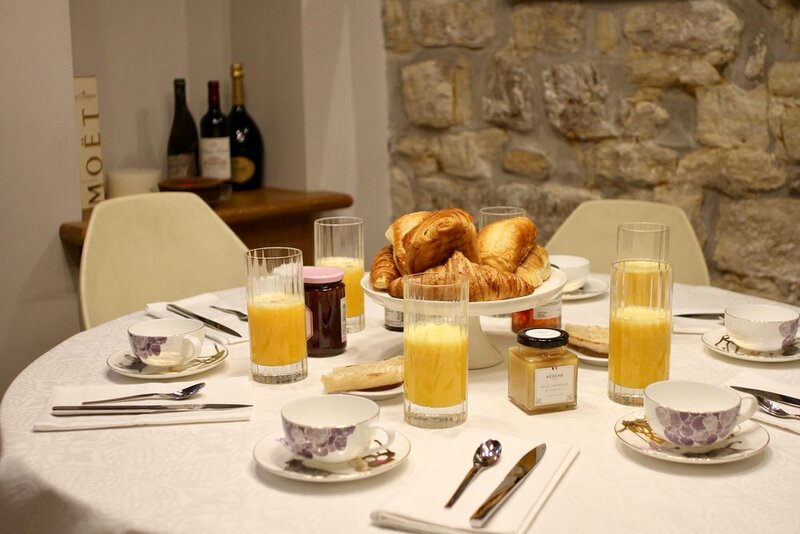 AdM is a calm haven where you can experience the authentic, artistic and romantic soul of Paris. 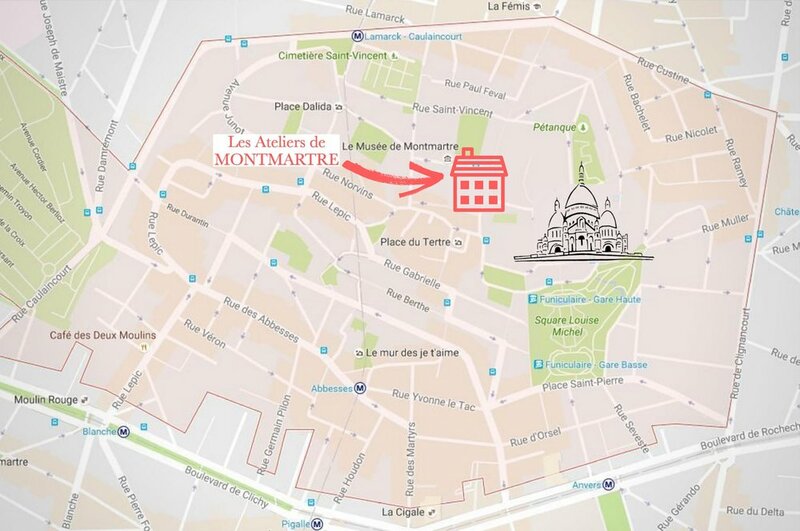 We are ideally located between the Sacré Coeur and Place du Tertre, both less than 50m away! 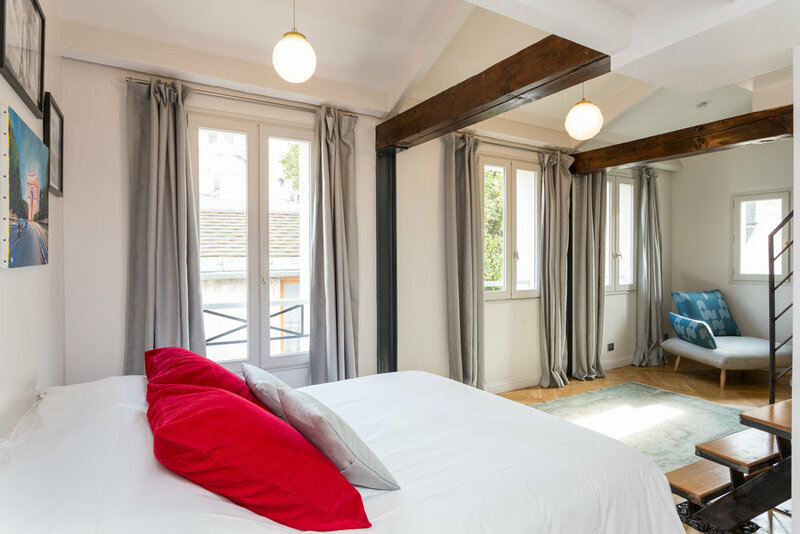 Each of our 3 bedroom suites, enjoys a unique view on the majestic Sacré Coeur Basilica and St Pierre de Montmartre Church (Paris' oldest surviving church dating from 1134). 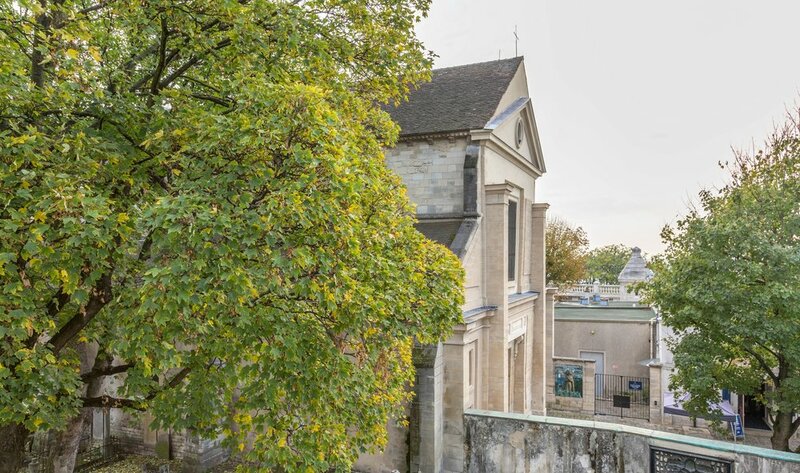 The fascinating Place de Tertre close by is the joyous home to the greatest number of artist per m2 in the world! 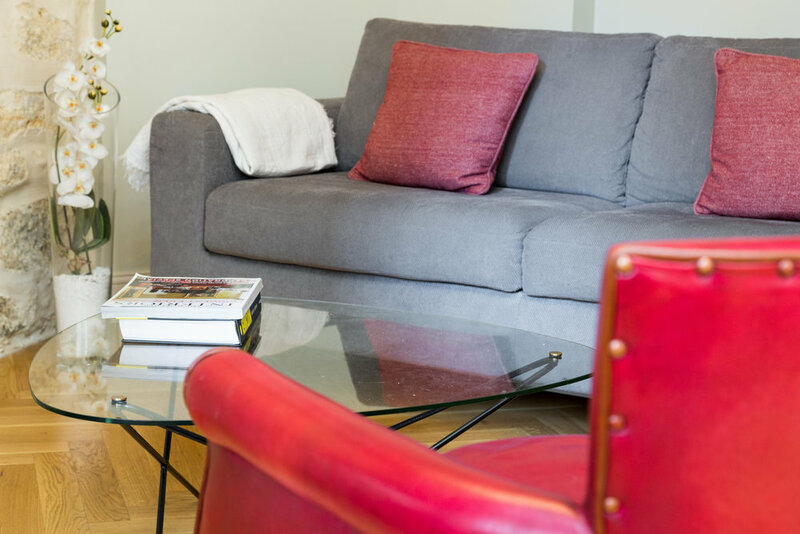 After months of renovation, we are delighted to welcome guests at AdM and add a new chapter to this house's long history. The courtyard entrance has been thoughtfully transformed into a beautiful green space. 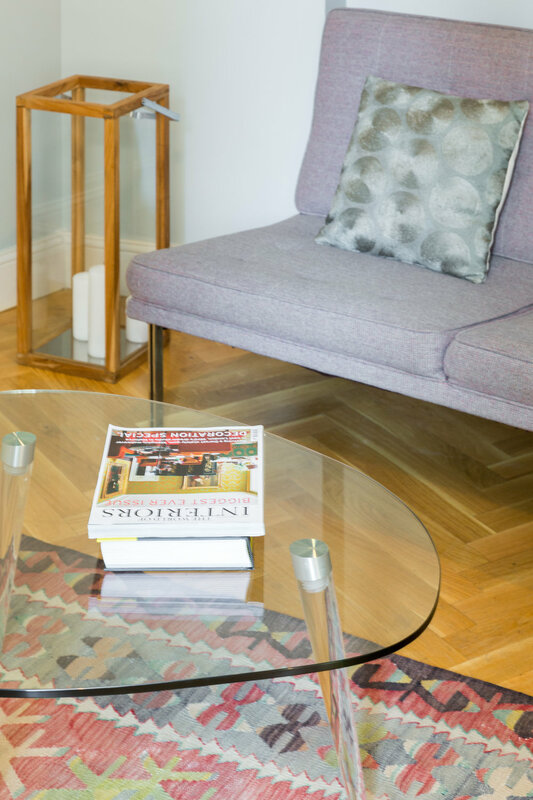 Once inside, you will find an open plan kitchen and dining room on the ground floor. 3 Suites, with living room & ensuite bathroom, then occupy a floor each of the house. We showcase talented guest artists throughout the year. And we hope you will love their pieces as much as we do. 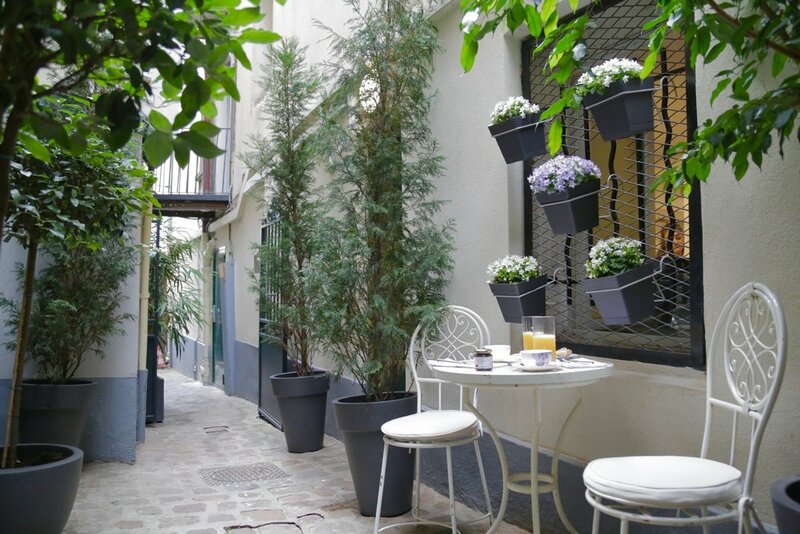 The real treat is that you may even have the chance of finding them in Place de Tertre for a chat! 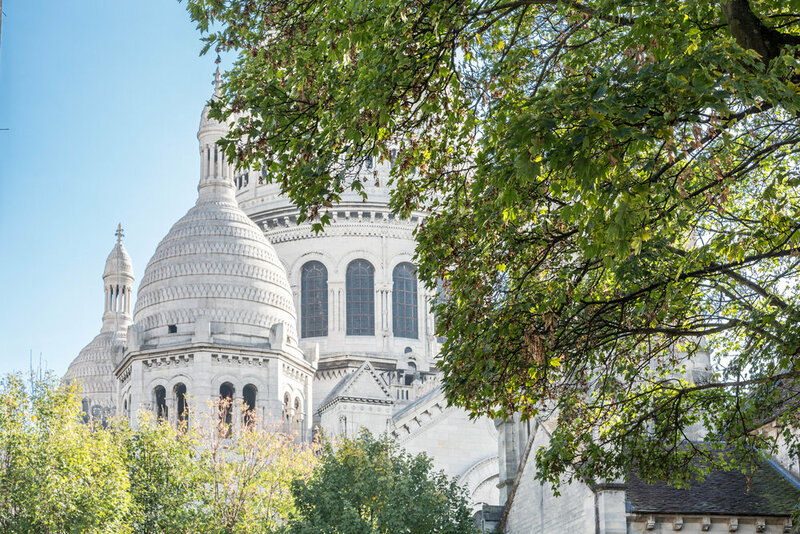 AdM is the perfect base from which to discover Montmartre and the city of Paris below. Here are our local tips!